I define myself as a micro business owner. I’m too tiny to be a small business (yep it’s just me). And although I’m a “mumpreneur” by definition, I just never felt comfortable inside that word. In comparison, micro business nails it. And so I’ve joined forces with Jo Waltham – at Magenta Sky Solutions to launch the Micro Business Hub. More on that shortly. I love the word and I love the concept. It’s that idea of a whole business crammed up into just one person! (or if you’re a bit bigger possibly a few people). Put like that, micro becomes a pretty powerful concept. And it’s no easy task being micro. 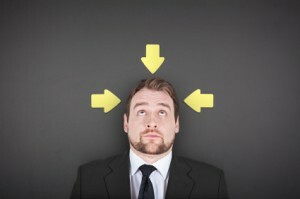 You end up juggling a multitude of tasks. Jobs like marketing, selling, customer service, bookkeeping, admin etc. You may even extend your tiny operation and outsource to gain the specific skills you require. As a micro business owner YOU are the face of your business. The buck starts and ends with you. But on the other hand, it’s an incredibly exciting and freeing place to be. Before setting up Gem Writing, I was “persuading” in the classroom. I loved it, but I always felt frustrated at the lack of control. I had ideas but couldn’t deliver them because of the constraints of working for someone else. Instead I have the absolute freedom to create and drive my business in any direction I choose. And because I’ve only got myself to answer to, I can adapt and flex to respond immediately to situations that crop up. What’s more I get to connect with brilliant people who inspire and motivate me. I’ve really come to appreciate the degree to which I’m inspired, motivated, confident and innovative totally impacts on my business. When I’m on form I’m unstoppable. But if I’m having a wobble or things aren’t panning out as planned, I get a bit stuck. It occurred to me that the quality of what surrounds me (what feeds my brain and my soul) affects my copywriting, blogging and my business. I found if you surround and nurture yourself with quality information and ideas, it somehow boosts your chances of staying resilient and creating something amazing. Jo Waltham and I have joined forces to create the Micro Business Hub. You can check us out if you click here. We’re a perfect match. Her remarkable technical ability complements my content creation skills. We’ve already got an online presence, but we’ll officially launch on 20th June as an on-line magazine tailored specifically for busy micro business owners. Join us and you’ll get to read quality content on a daily basis. In addition, we’ll offer up “micro actions” to help you turn the useful theory into something practical. After all if you take a number of micro steps each day, they soon add into some special changes in your business. Longer term the Hub will evolve into a membership community and a quality online directory. It will be a great place to promote your products and services to other likeminded business owners. Not only is it packed with fantastic content, but it’s been penned by some pretty awesome micro business owners. Entrepreneur and inventor Cara Sayer revealing her really simple tips for growing your business. Experienced business coach Sue Ritchie sharing how classic motivational quotes push you onwards. PR whizz Lucy Matthews revealing insider secrets to help you get publicity in the media. Craig Sharp demystifying the cloud and outlining some easy ways you can exploit the benefits. And experienced marketeer Janine Beattie revealing how to market your micro business on a budget. It’s a powerful book and best of all it’s free! 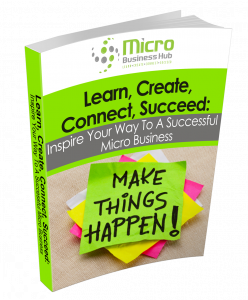 If you want to know more, if what I’ve said resonates, or you identify with the concept of the micro business please, visit the Micro Business Hub right now. Then sign up and download your free copy of the eBook. And before you go, I’d love to know what you think of the Hub so please leave your thoughts in the comments.